Owing to our technical prowess, we have surpassed the competition by developing best quality Mould Sealing Rope. 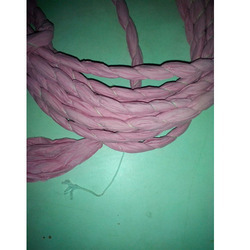 Our manufactured ropes are demanded widely for offering a complete seal between two molding boxes. Made from premium grade materials these ropes feature superior strength and does not crack even after twisting. Further, we are providing a quality approved range of sealing rope, which can be ordered from us at a leading price. Looking for Mould Sealing Rope ?